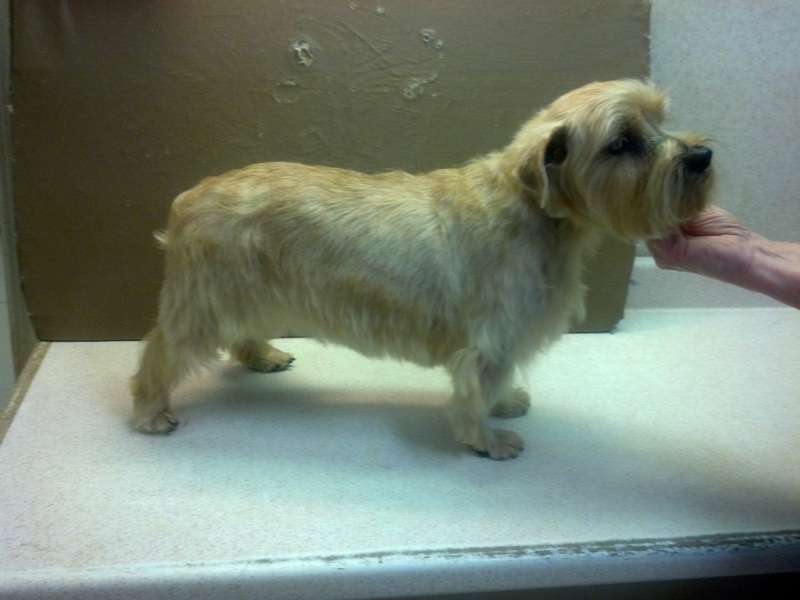 Norfolk Terrier Groom Page - NAJU... "The FUN Place for Your PETS!" Click image to enlarge. More style pics to come! Still undecided about a style? Don't worry, you can make one up or mix & match styles from other breeds with similar coat to create a style. For example, A Yorkie can wear a Cocker style body & leg, a Westie style head, & a Poodle style foot... the choice is yours! If applicable - ear canal hair removal, & eye area, feet, belly & privates trimmed in. All of the basic bath items plus *hand stripping or clipper & scissor work to create the style of your choice which can be your pet's breed standard or a specialized custom groom. * Hand stripping is a specialty style of grooming that pulls the coat rather than cutting which encourages a natural looking course coat. Once hand stripped, a pet should be stripped often to maintain the groom & should never be clipped down because clipping will soften the coat and defeat the purpose of stripping. Hand Stripping starts at $48 and goes up based on time & work involved. Specialty Products & Services Details. Topical & pill form flea treatment. Prices listed are estimates only & may vary for each pet. De-mat, flea products, & other specialty products & services not included in prices listed.